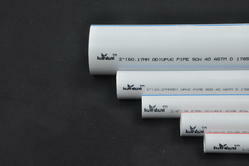 Providing you the best range of pipes for drinking water plant with effective & timely delivery. We offer a wide range of Pipes for Drinking Water Plant.These Pipes are used in hotels, residential colonies, food processing factories, schools and packaged water manufacturing etc.We deliver our assignments within committed time frame. Looking for Pipes for Drinking Water Plant ?